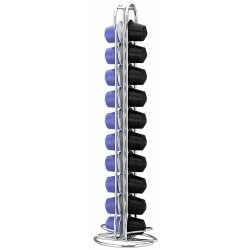 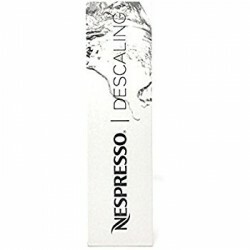 Nespresso dispenser Fackelmann -20 capsulesPut things in order! 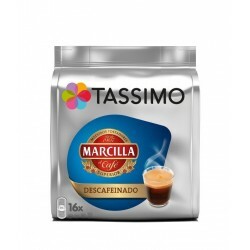 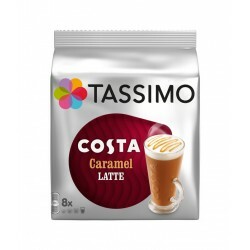 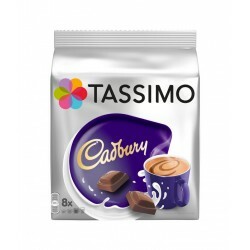 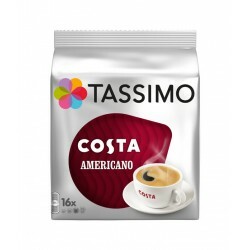 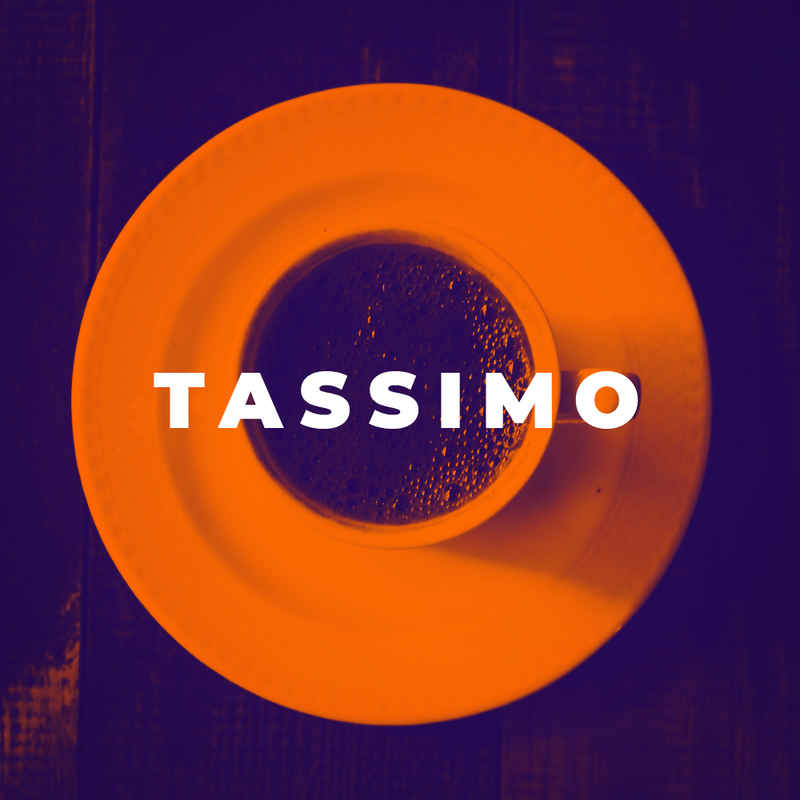 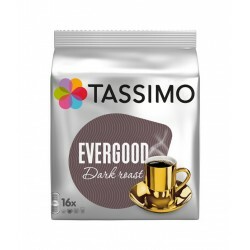 With this capsule holder from the Ge..
Tassimo Marcilla Descaffeinado- coffee capsulesIf there's something that characterizes best Marcilla.. 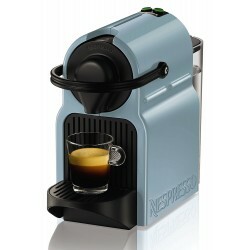 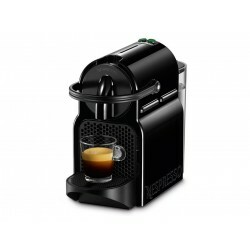 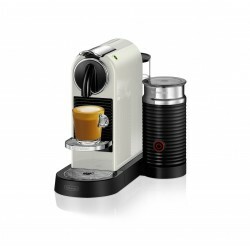 Updated retro-modern design, with an integrated milk frother.With its new design, CitiZ&milk con.. 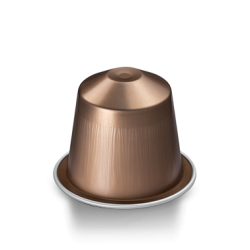 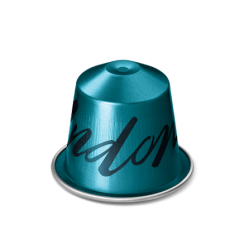 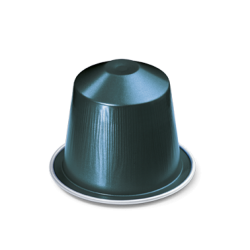 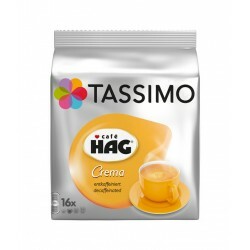 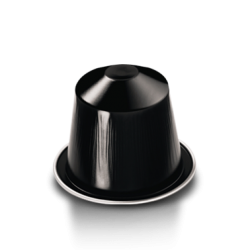 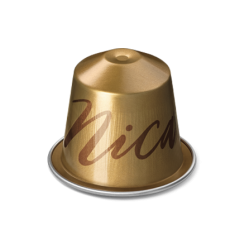 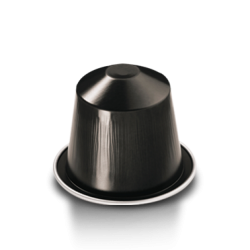 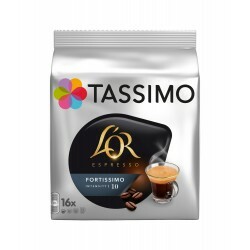 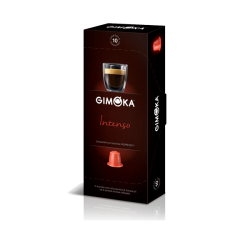 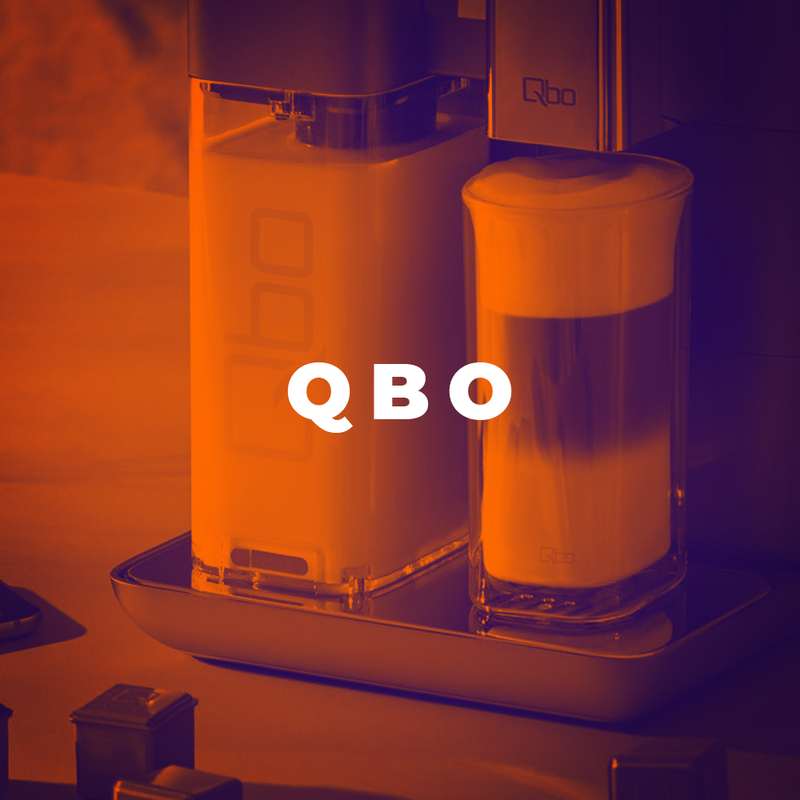 Exclusive single serve system with the De'Longhi patented "automatic cappuccino: thanks to an optica..
Tchibo Gran Café - Espresso LeggeroIntensity - 3 / 6An elegant blend of selected Arab.. 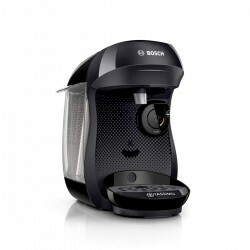 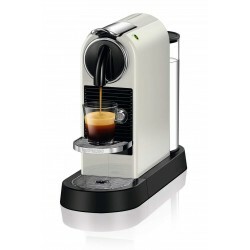 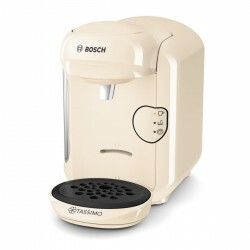 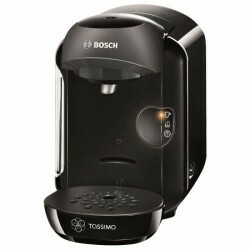 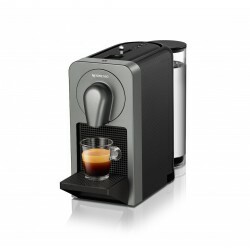 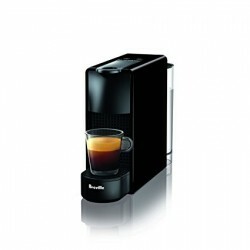 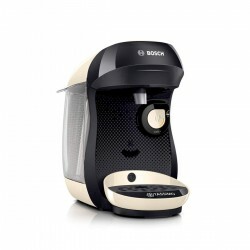 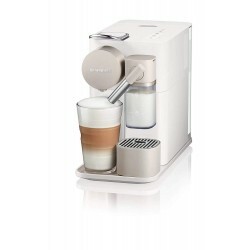 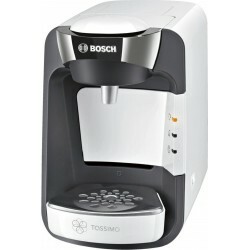 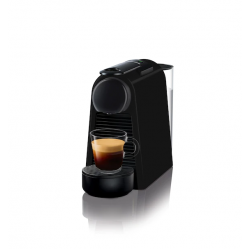 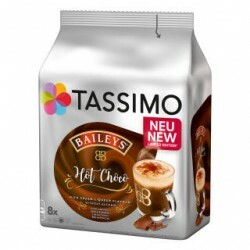 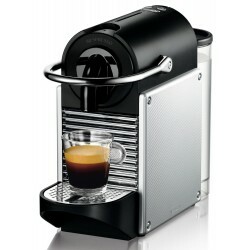 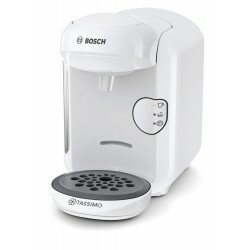 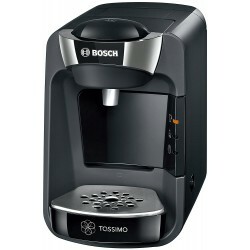 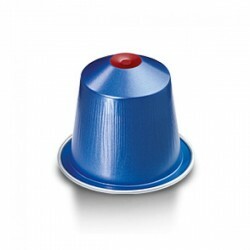 The Bosch Tassimo Suny is a pod coffee machine which takes Tassimo T Discs. 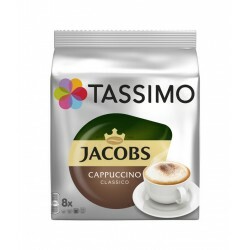 It has 1300W of power an..
Tassimo Jacobs Cappuccino ClassicoEnjoy a combination of highly espresso and delicate milk froth wit..
Gimoka Cremoso - Non-compressible capsulesIntensity 8 of 12Jimoka presents Nespresso compatible caps..
Starbucks Fairtrade Espresso Roast - Nespresso compatible Fairtrade certified, this ble..
Tassimo L'OR Espresso FortissimoIntensity 10The Tasso Espresso - L'OR Fortissimo is an aromatic stro..
Nespresso decontamination preparation for espresso machinesIt is advisable to use a decalcifier for ..
Nespresso RISTRETTO Decaffeinato - strong, contrastless taste without caffeineIntensity: 10The decaf..
Gimoka Intenso - Non-compressible capsulesIntensity 9 of 12Jimoka presents Nespresso Compatible Caps..
Nespresso Vivalto Lungo Decaffeinato-beef coffeeIntensity: 4Nespresso Vivalto Lungo Decaffeinato is ..
Nespresso Arpeggio Decaffeinato - intensively decaffeinatedIntensity: 9Darkly baked and rich in tast..
Nespresso Dharkan This blend of Arabicas from Latin America and Asia fully unveils its character ..
Purchase over $60 and get Free Shipping on all products. 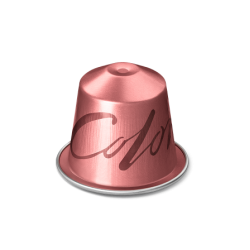 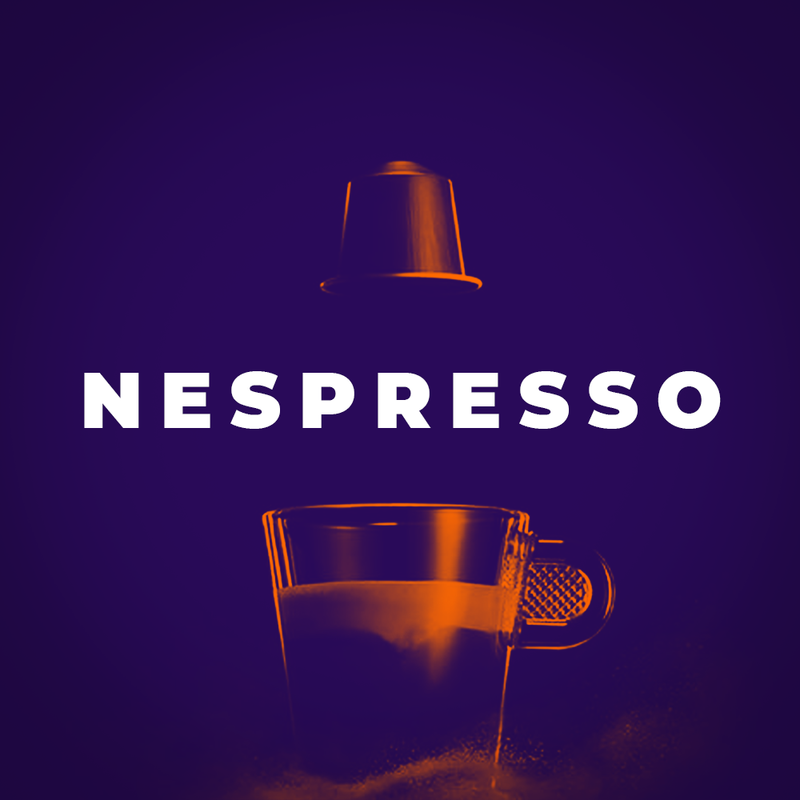 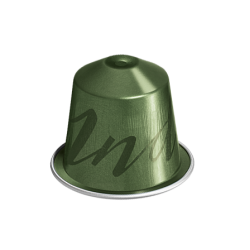 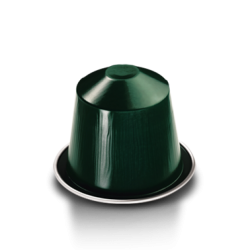 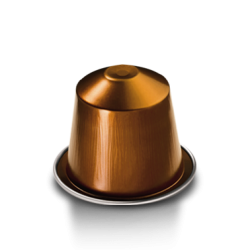 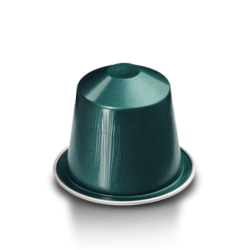 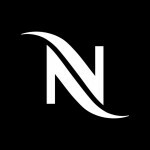 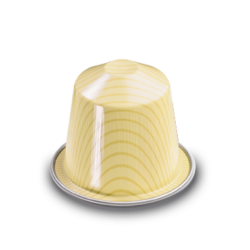 Nespresso CARAMELITOIntensity: 6The sweet caramel taste of Nespresso Caramelito softens the notes of..
Nespresso LIVANTO - a dense, balanced tasteIntensity: 6Nespresso Livanto contains only specially sel..
Nespresso RISTRETTO - strong, contrasting tasteIntensity: 10Nespresso Ristreto is a blend of the fin..
Nespresso MASTER ORIGIN Colombia- FRUITY AND VIBRANTIntensity: 6To create something truly disti..
Nespresso Roma - balanced, full tasteIntensity: 8 Nespresso chose the balance between finely-ba..
Nespresso VANILIOIntensity: 6Coffee experts of Nespresso present capsules a balanced, harmonious ble..
Nespresso MASTER ORIGIN India- capsules..
Nespresso MASTER ORIGIN India- Flowery and BrightIntensity: 4Carefully turned in the Nicaraguan suns..
Nespresso MASTER ORIGIN Indonesia - Rich and full tasteIntensity: 8In northern Sumatra, local f..
Nespresso Cosi Intensity: 4 A blend of East African, Central and South American Arabicas which..
Nespresso Fortissio Lungo Intensity: 8 As in the age of sailing ships, West Indian Malaba..
Nespresso CAPRICCIO - rich, distinctive tasteIntensity: 5Nespresso capsules with blend of South Amer..
Tassimo Baileys Hot Chocolate / Тасимо Бейлис Горещ ШоколадTry Tassimo Baileys Hot Chocolate now!Ind..
Tassimo Baileys Latte Macchiato- coffee capsulesTassimo tempts you to enjoy an impressive combinatio..
Tassimo Cadbury Hot ChocolateTassimo Kedbury is the perfect hot chocolate drink with a sweet cream C..
Tassimo Cafe Hag CAFÉ HAG, previously “Kaffee HAG” has a long and venerable history dating all th..
TASSIMO COSTA AMERICANOA specially selected blend of coffee beans baked to perfection to create the ..
Tassimo Costa CappuccinoNow, Tassimo brings Costa to your homeA specially selected blend of coffee b..
TASSIMO COSTA CARAMEL LATTE A specially crafted blend of coffee beans roasted to perfection to cr..
Tassimo Costa Gingerbread Latte / Тасимо Коста Джинджърбред ЛатеJust in time for winter, you can enj..
TASSIMO COSTA LATTE A specially crafted blend of coffee beans roasted to perfection to create the..
Tassimo Evergood Classic - coffee capsulesTassimo introduces Evergood Classic - to ensure the best p..
Tassimo Evergood Darkroast - coffee capsulesTassimo introduces Evergood Darkroast - a dark-baked cof..
Tassimo Gevalia Cappuccino - coffee capsulesTosimo presents a combination of intense espresso with a..
Tassimo Gevalia Dark Mörkrost - coffee capsulesTasimo presents Gevalia Dark Mörkrost - Dark, rich, s..
Tassimo Gevalia Ebony - coffee capsulesTosimo presents Gevalia Ebony - rich, dark-baked coffee. 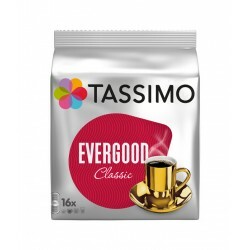 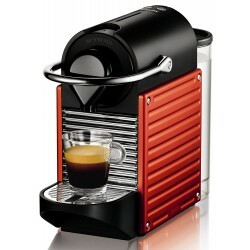 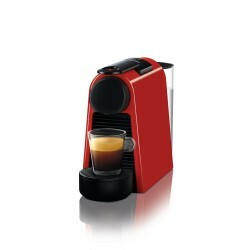 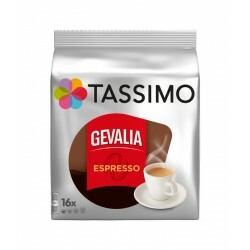 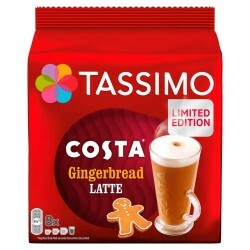 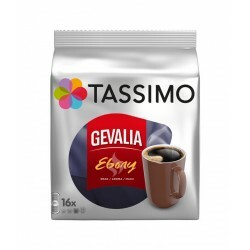 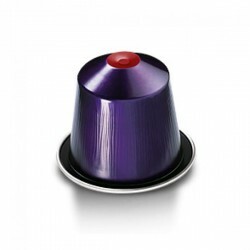 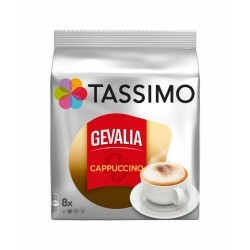 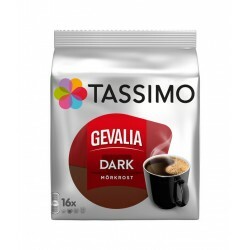 As a..
Tassimo Gevalia Espresso - coffee capsulesTassimo presents Gevalia Espresso - Pamper yourself with a..
DeLonghi Nespresso Pixie Electric Aluminium EN 125.S Pixie, is the SMART model in Nespresso ma..
Essenza Nespresso Mini Delonghi - Ruby Red D30 + Starter pack - 28 capsulesBy concentrating its coff..
Krups Nespresso Pixie - Electric Red Pixie, is the SMART model in Nespresso machine&nbs..
Bosch Tassimo VIVY CREAM Small on space, big on fun! 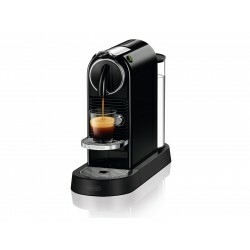 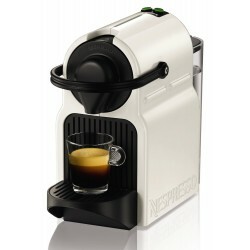 Measuring just 21 cm in width and sitting..
With its new design, CitiZ continues to please both Nespresso coffee drinkers and design lovers, add..
Delonghi Nespresso Inissia Black Tiny foot print, compact, lightweight and equipped w..
Essenza Nespresso Mini - Matt Black D30By concentrating its coffee knowhow and expertise into a bran..
Krups Nespresso Inissia Blue Inissia Coffee Machine offers all the Nespresso expertise in a smart..
Krups Nespresso Inissia White Inissia Coffee Machine offers all the Nespresso expertise in ..
By concentrating its coffee knowhow and expertise into a brand new design, Nespresso has delivered..
Prodigio is Nespresso’s first connected machine, providing you a unique experience that combines c..
Bosch Tassimo HAPPY - BlackTop features:- Intellibrew technology ensures a delicious drink every tim..
Bosch Tassimo HAPPY - Cream Top features:- Intellibrew technology ensures a delicious drink eve..
Bosch Tassimo VIVY BLACK Small on space, big on fun! 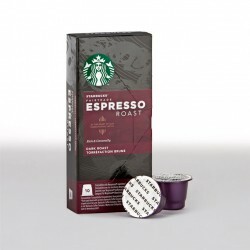 Measuring just 21 cm in width and sitting..
"Кафето ни прави корави, сериозни и спокойни." 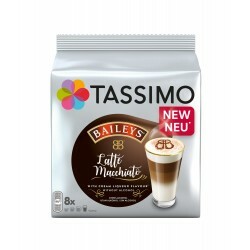 Силно кафе, много силно кафе, това е, което ме събужда. 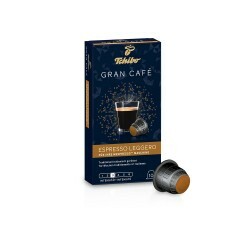 Измервам живота си с кафени лъжички. 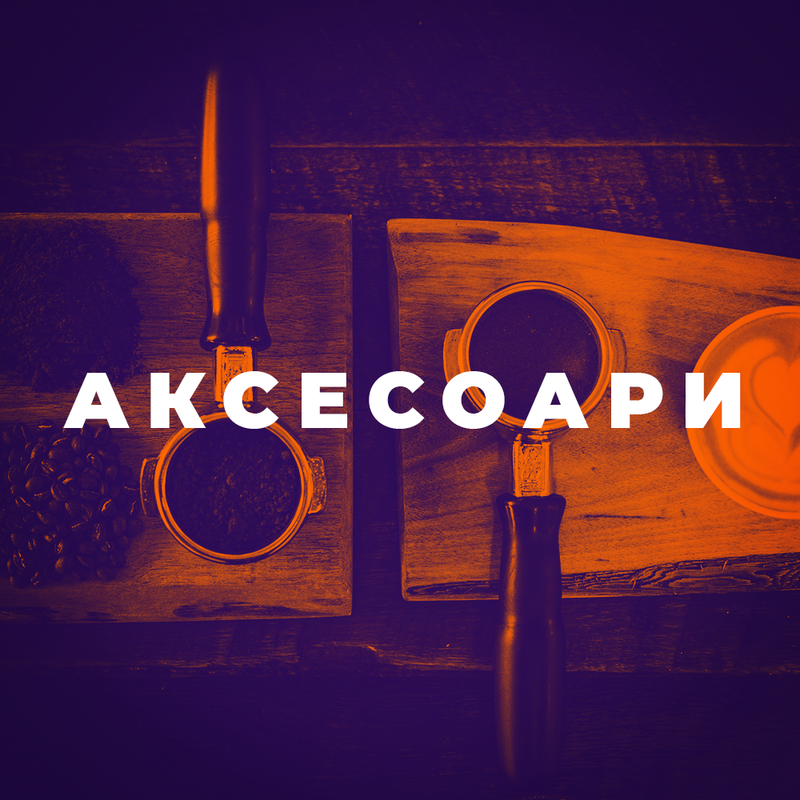 Има нещо, което ужасно ме изнервя – когато някой каже, че кафето е готово и не е.
От къде черпите вдъхновение за книгите си? 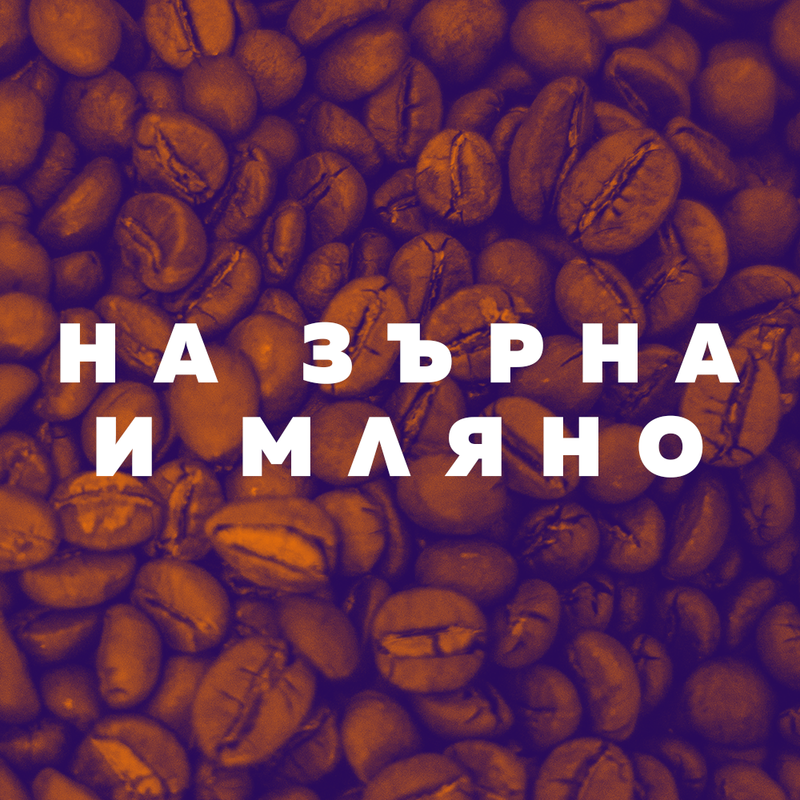 Казвам си, че ми е забранено да изпия чаша кафе докато не ми дойде някаква идея. 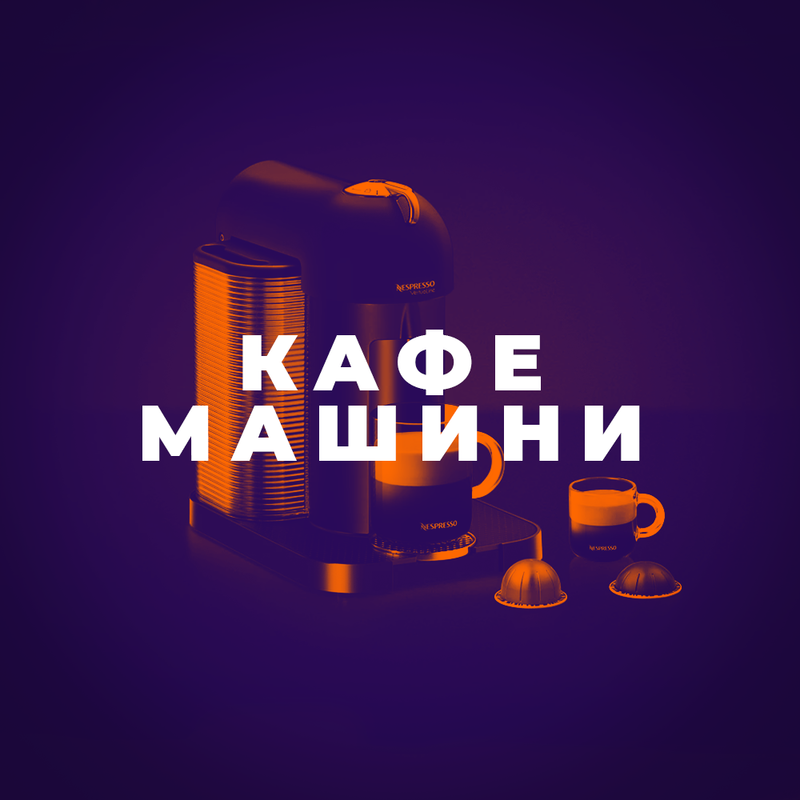 За мен миризмата на току-що приготвено кафе е едно от най-великите изобретения.